There probably isn’t a better WWE talent to interview than Paul Heyman when you want to talk Madison Square Garden. Heyman talked to the Sporting News about this weekend’s homecoming and addressed WrestleMania’s yellow elephant hanging over WrestleMania 32. 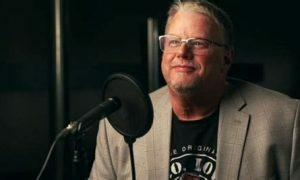 My old podcasting buddy Brian Fritz had the honor of talking to Brock Lesnar’s advocate about a variety of topics. 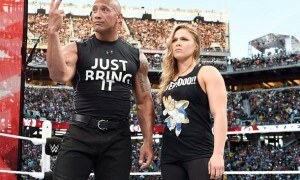 Of course the overarching theme of the conversation centered on Madison Square Garden, the history, and the WWE Network telecast on October 3. 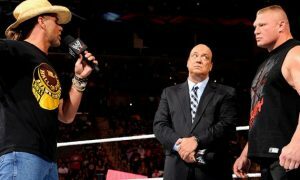 Heyman described his emotions the first time he attended a WWE show in the Garden. “I couldn’t catch my breath. Madison Square Garden to any New York kid is the center of the universe. Even going there as a fan is like stepping up to the plate at Yankee Stadium. You know you’re in the grand cathedral. This is a very special place to be and the congregation of fans that join you — for whichever event you’re going to — are all there to witness magic happen in what is rightfully known as the World’s Most Famous Arena. If you don’t think this Saturday’s event in the Garden is special for Heyman you don’t know Paul Heyman. Fritz also asked him a very interesting question in regards to working with Brock. Fritz asked him it has become complacent for him. 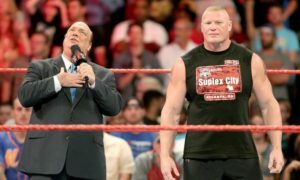 Fritz and Heyman also discuss the yellow elephant hanging over the WrestleMania 32 hype, Brock Lesnar vs. Steve Austin. Austin says it isn’t happening yet fans are hoping for a different result. Heyman and Fritz toss around the subject a bit before Fritz flat out asks him what the odds are of the match being signed. I’d highly recommend checking out the entire interview over at the Sporting News. Heyman and Fritz talk much more about Lesnar’s role in WrestleMania 32, the Big Show vs. Lesnar match at the Garden, the Stone Cold Podcast fallout, and more. Follow Brian on Twitter over at http://twitter.com/BrianFritz.